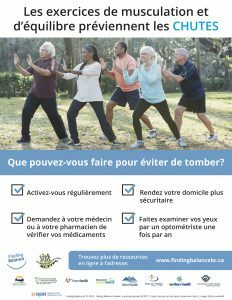 Be a part of the 2018 Seniors’ Fall Prevention Awareness Week campaign, taking place November 5 to 11, 2018, by engaging your organization, stakeholders, and community. 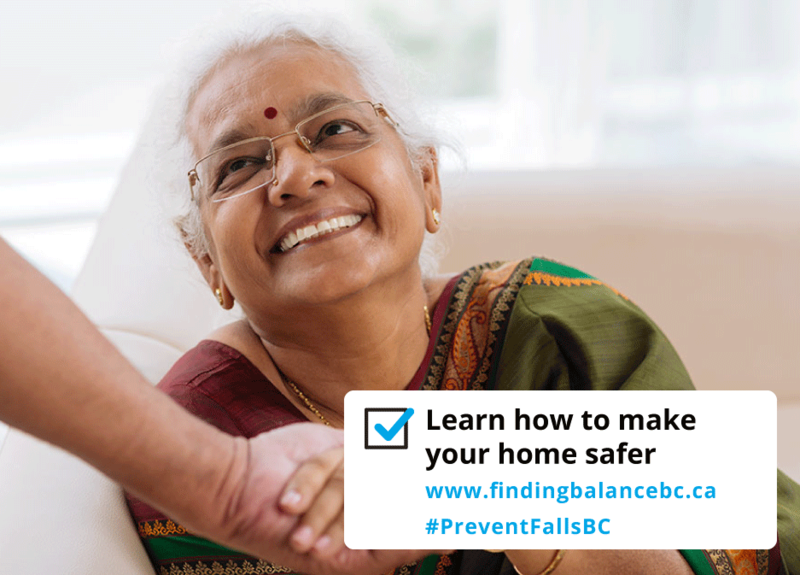 You will be helping to reduce falls, and injury due to falls, in BC. Here are a few simple things you can do to get your organization involved. Print out a copy of the posters or contact us and we can send you some. Place your posters in a high-traffic area before the campaign launch date to help create awareness. 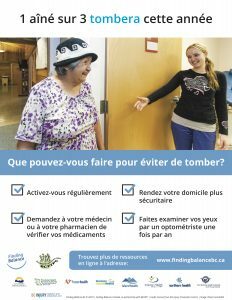 Email this page link to any contacts you have who might be able to print and share the posters with seniors at their location. Distribute Finding Balance social media messages via your Twitter and Facebook channels. We will have updates and tweets throughout the month of November on the Finding Balance Facebook and Twitter accounts. Are you FINDING BALANCE in your life? 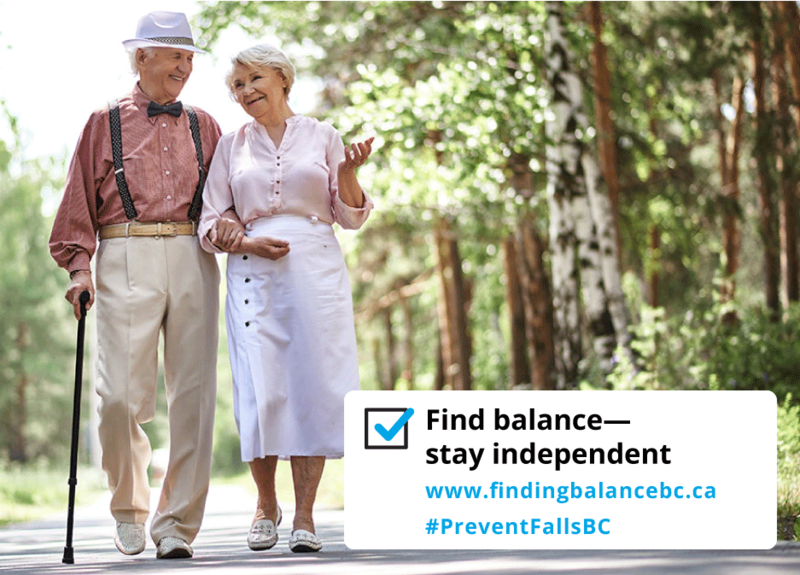 Share updates about how you’re staying strong and independent and preventing falls in your life and/or helping others. Just use the hashtag #PreventFallsBC or tag us @stopfallsbc so we can find your updates! Encourage others on social media to visit www.findingbalancebc.ca. You can share any of the pages or posts on this website using the handy share buttons at the bottom of each page. 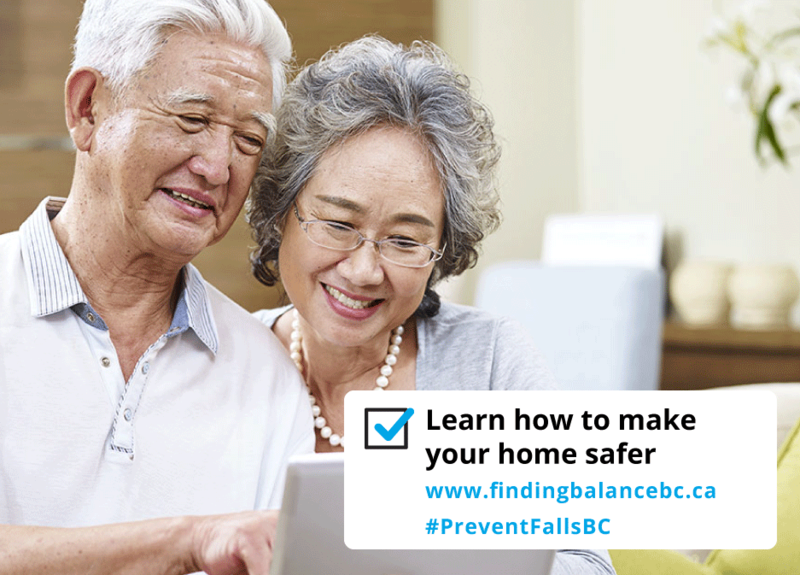 Connect with us online, and remember to use the hashtag #PreventFallsBC! 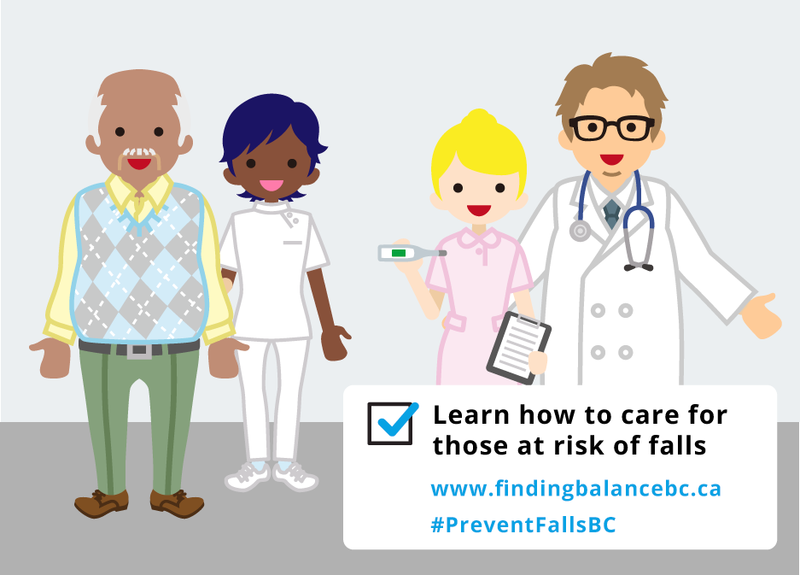 Include a fall prevention message in your email signature and encourage your contacts to do so as well. You can use a text-based message as an email signature, or an image. If you would like to use an image in your signature, please choose from one of the options below. Right click on the image and choose the “save image as” function to download it. Images shown are size they will appear on download. Not sure how to add/edit an email signature? You are welcome to use the content below on your websites, and in your newsletters. Just click on the orange button to download that version of the article in word doc format. 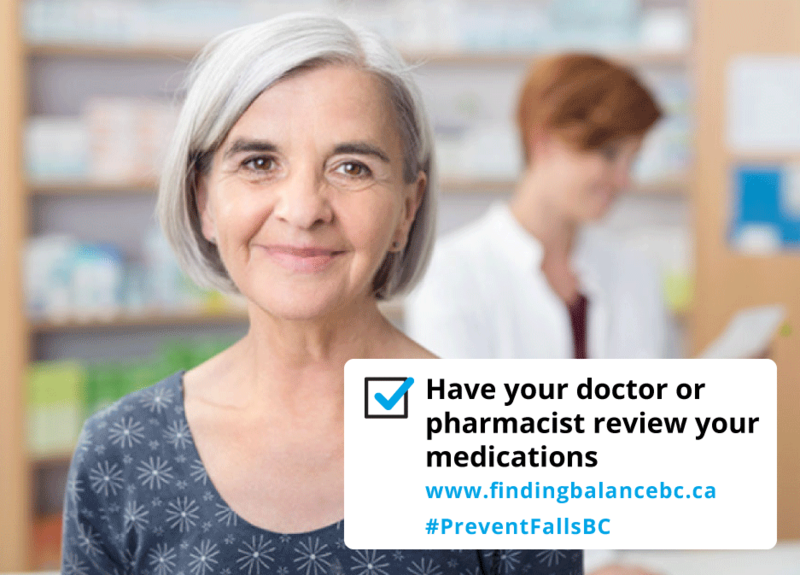 Have your doctor or pharmacist review your medications: Some medications can make you fell drowsy, dizzy, or unsteady on your feet. 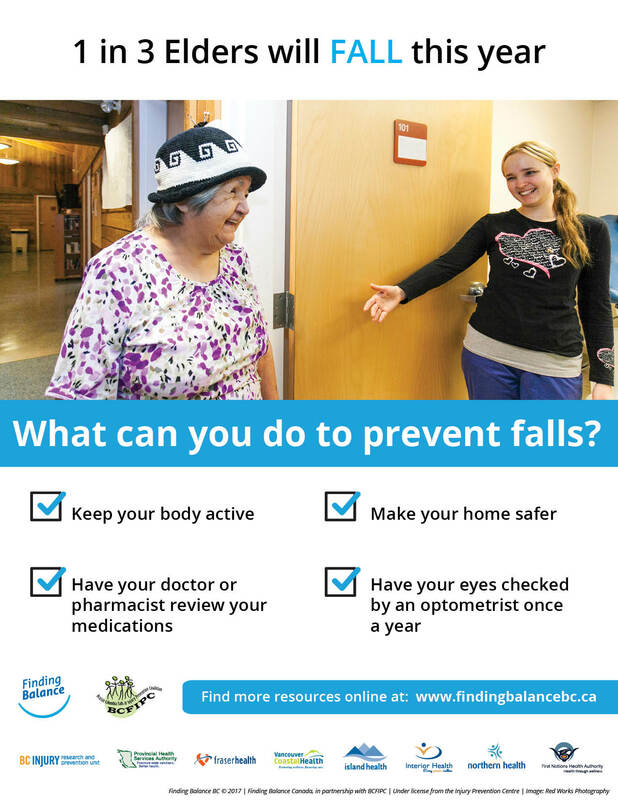 How can you help prevent falls? Everyone experiences a fall now and then. While most falls do not cause serious injury, occasionally we are reminded of how even a simple fall from standing can be catastrophic. 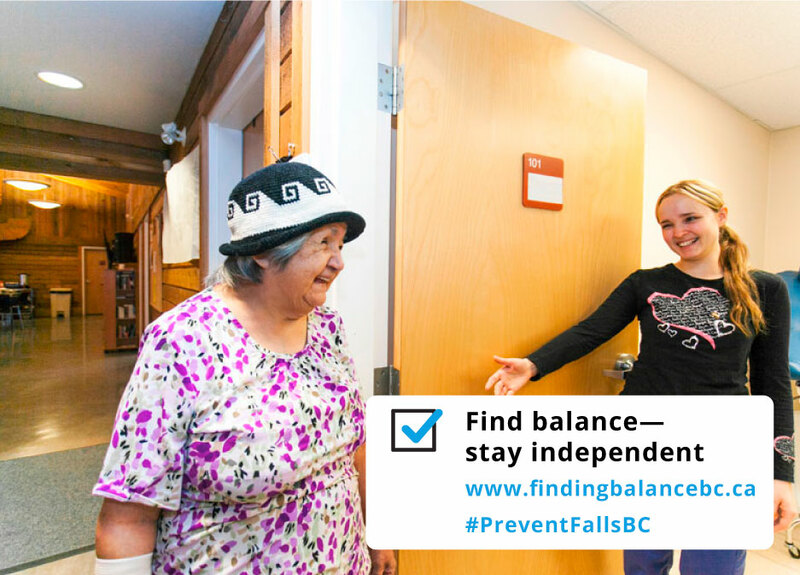 Indeed, falls from standing height are the most common cause of injury-related hospitalizations across the lifespan and the number one cause of injury-related deaths in older adults. 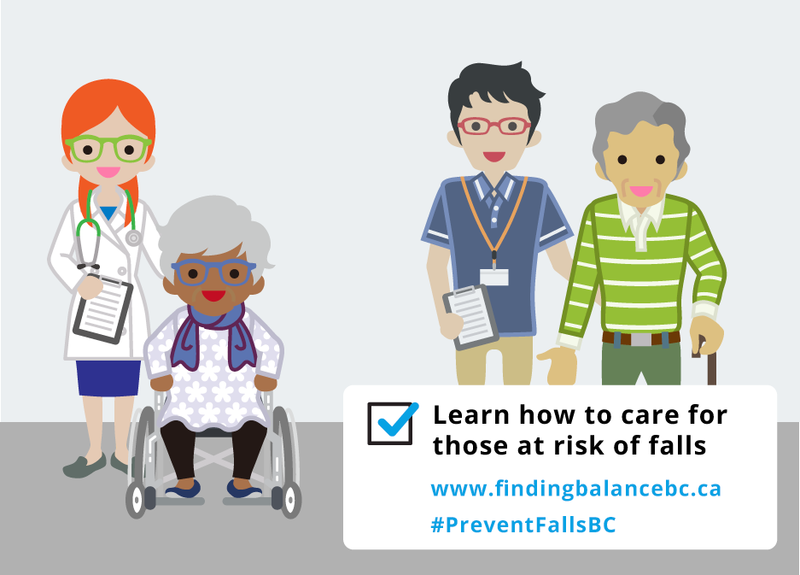 Falls are especially devastating among older adults causing over 90% of hip fractures and wrist fractures, and 60% of head injuries. There is no single reason why people fall. A fall usually occurs when several risk factors happen at the same time. For example, if you walk down the hallway in your home at a normal pace during the day, there is little chance you will fall. But if it is the middle of the night and there are no lights on, and you are rushing to get to the bathroom, your chances of falling are much greater. Many risk factors are within our control to change. 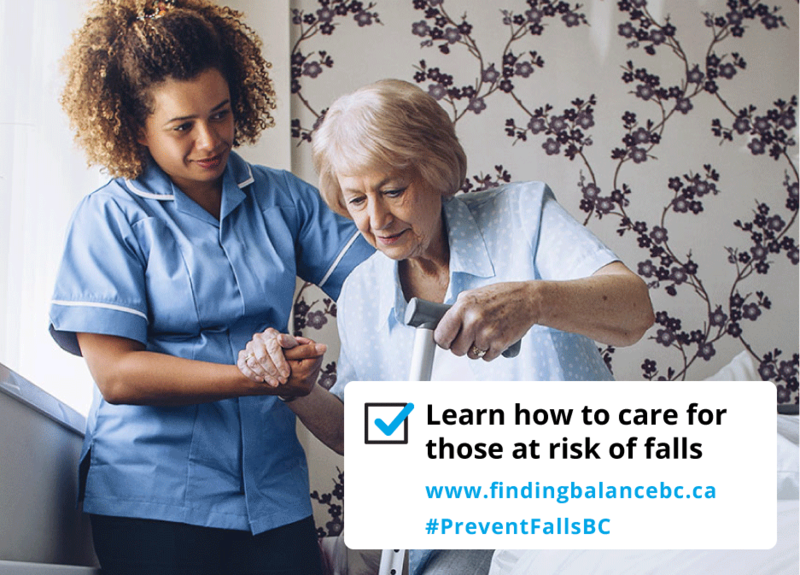 Some people believe that falls are a normal part of aging, that no matter what they do, falls can’t be prevented, or that it won’t happen to them. 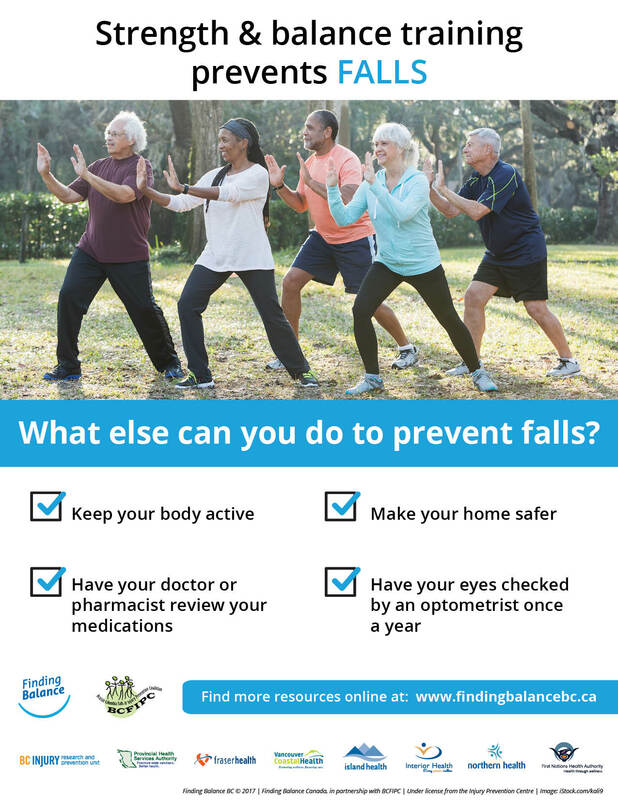 The truth is: Falls are not a normal part of aging and there are many things you can do to prevent falls. 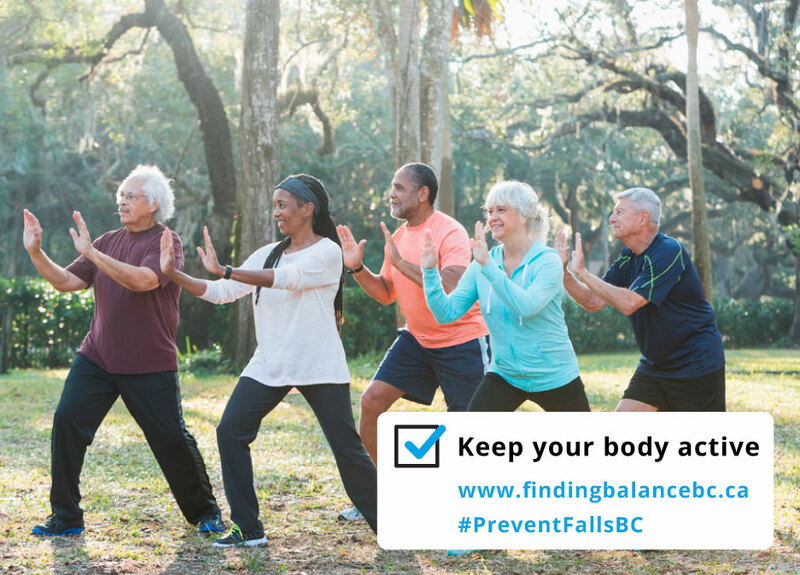 Being active is one of the most important ways to lower your chances of falling. It makes you stronger and helps you feel better. 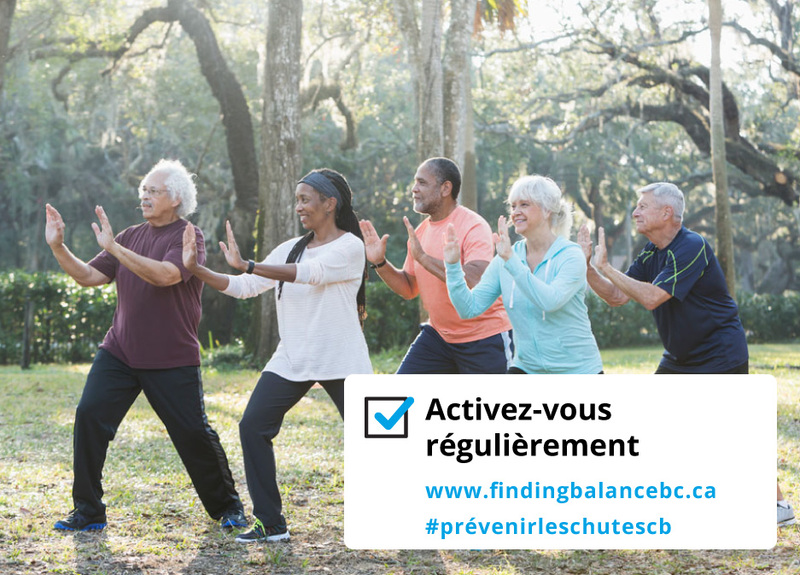 Activities that improve balance and coordination (like Tai Chi) are the most helpful. You are less likely to fall if you have strong muscles and good balance. 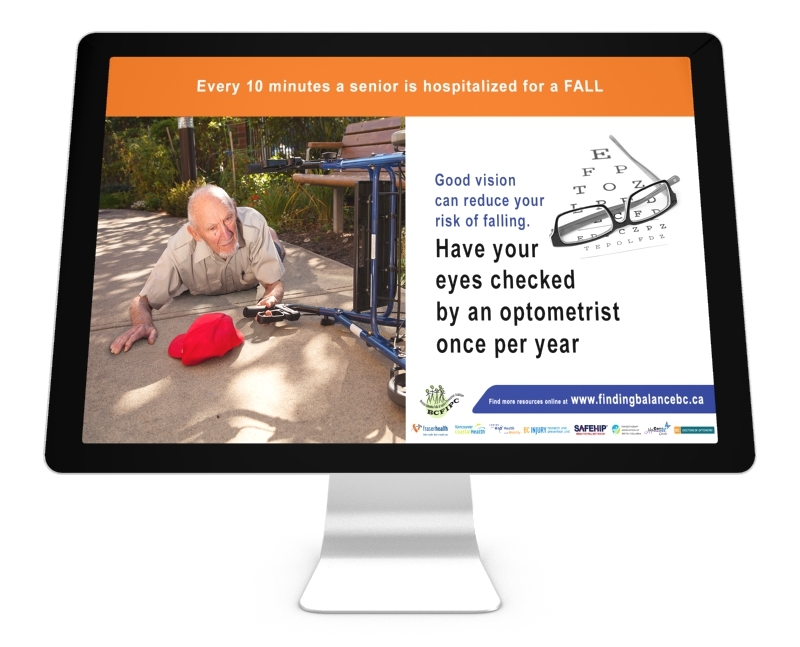 Poor vision can increase your chances of falling. Have your eyes checked by an eye doctor at least once a year. You may be wearing the wrong glasses or have a condition like glaucoma or cataracts that limits your vision. 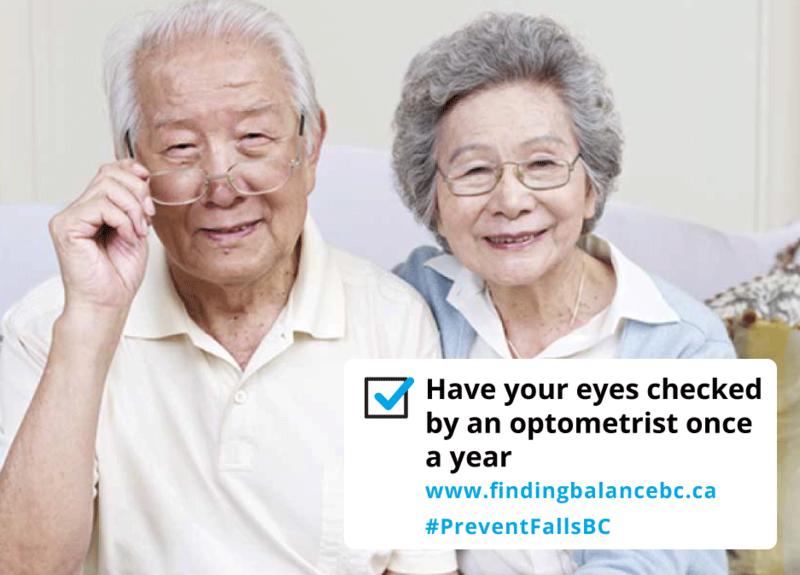 Also, clean your glasses often and be aware that the risk of falling outside and on stairs is increased when wearing bifocals or progressive lenses. Some medications can increase your chances of falling if you experience negative side-effects, interactions between drugs, or errors in following prescription directions. Sedatives, anti-depressants, and anti-psychotic drugs can reduce mental alertness, worsen balance and gait, cause dizziness or drowsiness, and cause drops in blood pressure while standing. Have your doctor or pharmacist review all the medicines you take (even over-the-counter medicines) and tell them if the medications you are taking are making you drowsy or dizzy. If you are taking blood thinners (e.g. Coumadin) and have a bump or blow to the head, you should be seen immediately by a health care provider due to increased risk of internal bleeding. Put in a night-light so you can see where you’re walking. There are four different screensaver images you can use on computers in your home or office. Click on the computer image below to download the zipped package.